Spank Me Whitsundays is a 2 Day 2 Night tour of the tropical islands in the Whitsundays region northern Queensland Australia. This Whitsundays Tour explores Whitehaven Beach and the coral bays in the Great Barrier Reef Marine Park. 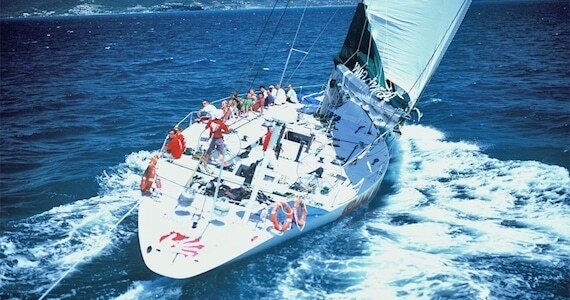 This famous race boat is 82ft long and takes 27 guests and 3 crew for a sailing tour of the Whitsunday Islands. 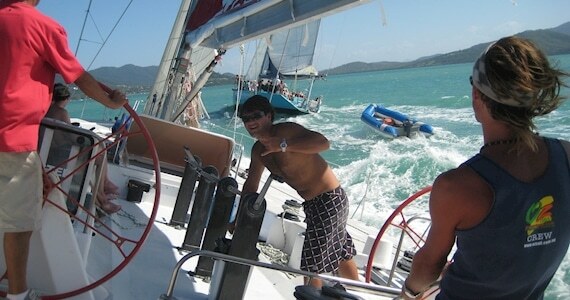 You can learn to sail with our qualified crew or relax on the spacious deck and watch the Whitsunday Islands sail by. You will enjoy at least 3 Snorkel locations and 2 hours on Whitehaven Beach. This Whitsundays trip also visits the famous Hill Inlet Lookout on the northern end of beach. Spank Me has been in the Whitsundays since 2007 after racing all over the world including winning the famous Sydney to Hobart yacht race. 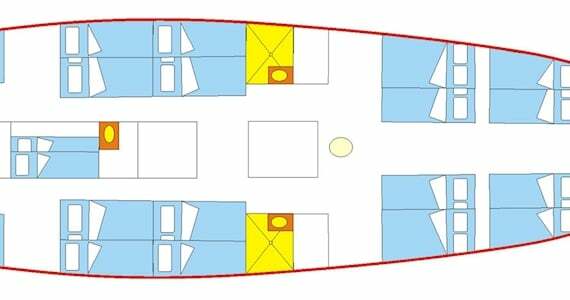 Whilst the boat was designed for racing it now has 26 bunk beds and has been fitted with a galley to prepare fresh meals. The crew on the tour are hand picked sailors that are trained and qualified in large boat sailing. Spank Me Whitsundays departs every Wednesday, Friday and Sunday at 1 pm. This can change by 2 hours either way due to tides, you will find the exact departure time during the check-in and briefing on the day of departure. The Full Price is $474. You can take alcohol with you but NO glass. We do not sell any alcohol on the vessel. A limit is in place of what you can on the tour – No more than 24 cans of beer or 4 litres of cask wine per person is permitted to be taken on board. Your snorkel equipment will be on the boat and includes a mask, snorkel and stinger suit (wetsuit). Fins are not needed and the tour does not supply fins as they encourage guests to stand on coral and hurt the environment. Spank Me boat tour sleeps 27 guests in dorm accommodation with a mixture of single and double beds that stretch the length of the boat. Pillows are provided on each bed and fresh sheets are fitted before every tour. Only small bags are allowed on the tour, The same size as carry-on luggage on an aeroplane. Please, no hard suitcases as they cause damage on a moving boat. A small day pack is perfect, a list of what to bring is below. Light summer clothing, sunscreen, hat, towel, favourite music, alcohol (if desired) What not to take – glass large bags. With the most pure silica sand in the world, crystal waters, giant turtles, coral reefs, whales and stunning scenery everywhere you look, the Whitsunday islands in Northern Queensland Australia are a perfect holiday destination. It’s hard to not be amazed by the Whitsunday Islands every moment you’re there. Captain James Cook and his crew were first to sail to region in 1770 and this tradition carries on today. Many boats sail the sea and sheltered bays among the 74 islands which comprise the Whitsundays. But the most popular place to stop is Whitehaven Beach on Whitsunday Island. With a seven km stretch of white 98 percent silica sand, it’s no hard to see why this beach is voted the top 10 in the world. The northern end of the beach has a lookout called Hill Inlet, this lookout gives you stunning, seven-kilometre-long views of Whitehaven Beach. If you want to travel in style, travel by air taking a sea plane to quiet destinations. Alternatively, hop into one of the many helicopters for stunning birds-eye views. To get to know the region up close, take a day tour on a fast paced boat. Saving the best for last, take an overnight sailing tour and explore this region thoroughly. Many sea creatures live around the islands like turtles, whales, dugongs and plenty of small and larger tropical fish. Snorkelling at one of the many bays which are home to individual coral reef systems is an incredible experience. 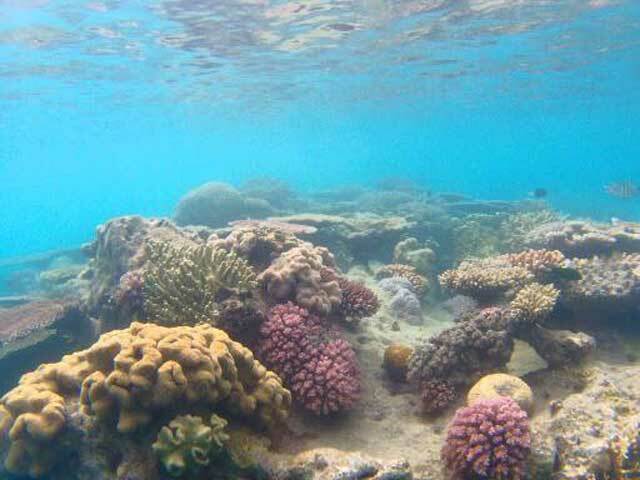 From the moment you enter the water you will see an array of tropical fish and large flowering corals, the only reason you will get out of the water is exhaustion. Airlie Beach has plenty of accommodation including backpacker hostels, caravan parks, mid and high-level apartments and hotels. 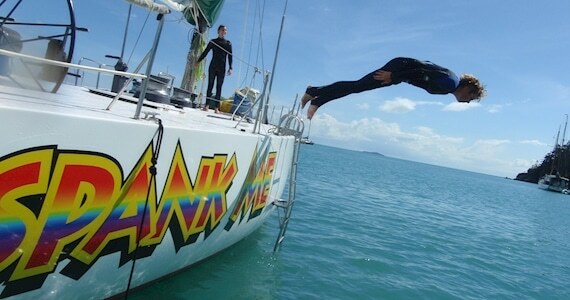 Hamilton Island has great multi-day packages available. Day Dream Island is great for the family and a small quiet resort. Hayman Island is an exclusive 5-star resort housing many famous people. Island Camping is available with bookings. Stay onboard a yacht on an overnight sailing tour. The Whitsundays are popular due to the scenery and vast range of tours and accommodation available, They way the region has been developed there is an option for everyone. From Backpackers hostels to 5 star island apartments. 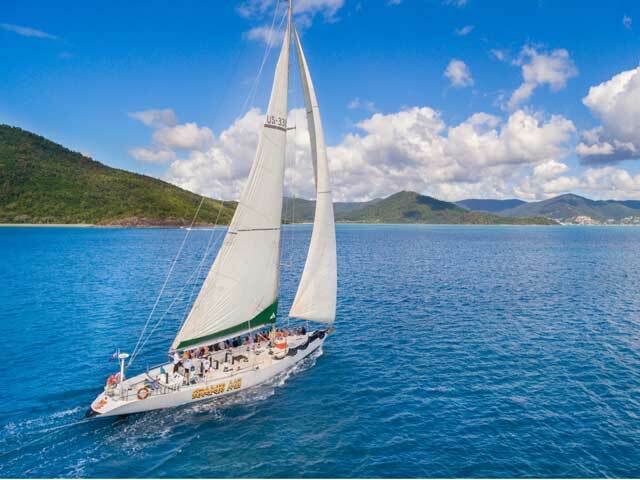 Cheap day tours and luxury week-long cruises, Whatever you holiday time frame or budget there is a perfect Whitsundays Holiday waiting for you. HOW POPULAR ARE THE WHITSUNDAY ISLANDS? 229,000 international visitors travelled to the islands in 2016. 508,000 domestic visitors for the same period. Domestic overnight visitor spend was $516 million. International overnight visitor spend was $209 million. New flights to the region from Jetstar and TigerAir will provide further growth. With the sound of the sea washing over the beach or your boat tour, we can guarantee you will love what the Whitsundays Islands has to offer, especially if you are participating in our Spank Me Whitsundays 2 day tour. The Great Barrier Reef is situated off Queensland along the eastern shore of Australia and is a vital part of the state. In any case, did you realise that while it is the biggest reef complex on the planet it is really 2,600 km long and has mad up of an astonishing 900 islands? We will now toss a couple figures at you with respect to natural life and the Great Barrier Reef and the way that it draws in six particular types of ocean turtles to breed, 30 types of whales, dolphins and porpoises,17 distinct types of ocean snakes and 1,500 types of fish which live in the reef. It is completely mind-boggling to think about the large number of various species which rely on it for their future. It is exceptionally hard to gauge with certainty how much tourism business Australia generates from overseas visitors as a result of the Great Barrier Reef. Be that as it may, specialists trust it could be anyplace between AU$4 billion and AU$5 billion per annum. This is a completely dumbfounding figure and we can maybe start to acknowledge why the Australian government is exceptionally quick to guarantee the Great Barrier Reef, which is really a living structure and stays in top well being far into the future.